Find out about Zeb’s many connections to the game of Golf dating all the way back to the 1800s and including famous courses, club designers, pro golfers and THE James Braid at 19th Hole Media. Zeb used to be a History teacher, but he knew there was more out there for him. He started his own tutoring business, and the experiences he gained in establishing and promoting that business led him to join forces with his sister to launch Welborn Media. One of their first projects was establishing a social media presence for the historic Los Serranos Country Club, where both he and his brother had worked and played as teenagers. His two passions, golf and helping business owners grow their company, combined. Welborn Media focuses on utilizing social media to promote businesses, organizations, and nonprofits. His sister Lacey is a talented designer. And Zeb has established himself as a social media and internet marketing expert. Whether it’s Facebook, Linked-In, Twitter, Google+, You-Tube, search engine optimization, or website design, Zeb has made a practice of understanding and using the internet in fresh and creative ways to connect businesses and promote causes. 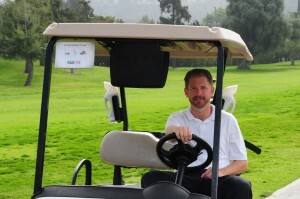 With the knowledge and skills he’s honed, Zeb has been successful at applying his social media savvy to golf course promotion — happily joining his passion for educating businesses on the vast potential the internet offers with his love of the game of golf. If you have a little time – between rounds – check out the Welborn Media website at www.welbornsocialmedia.com or the 19th Hole Media website at www.19thholemedia.com. You’ll get a taste of the enthusiasm he has for sharing what he’s so good at with others, and a glimpse of how appreciative his clients are of his work. 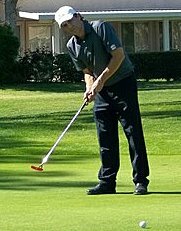 John Hakim (JohnnyGK) is the owner of Greenskeeper.org, a free online community and golf social network of over 60,000 golfers in existence for 10+ years. Greenskeeper.org’s mission statement is “To help golfers enjoy their golf experiences as much as possible.” The site provides golf course reviews, aeration alerts, overseeding schedules, photos, specials, golf coupons, score tracking, outings, product reviews and more. His website started serving Ventura County, Los Angeles County, Orange County, then other places began asking for for the service, including San Diego County, Riverside County and San Bernardino County. Now Greenskeeper.org is in 10 states that include, CA, AZ, NV, OR, WA, NM, CO, UT, TX and FL. A lot of people have expressed their appreciation of the services and love what John has been able to do at Greenskeeper.org. The core site user of Greenskeeper.org is referred to as a “GK’er”. These are people who are authentically helping other golfers “Know Before They Go” registered trademark, with golf course reviews and posting photos. There are over 41,000 reviews and 20,000+ photos posted. John has spoken with golf course owners and decision makers for years trying to understand their needs and how he can service those needs with his website. 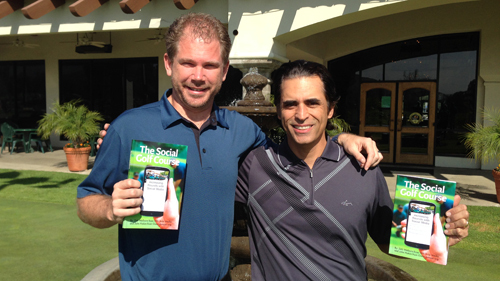 His goal is best create direct relationships between golfers and golf courses. 30+ golf courses are now using Greenskeeper.org to extend their online presence for a small monthly fee and the courses who utilize these features have experienced great success.